I have a friend I met through craigslist who was selling his 95% new Savage Flux that he built from scratch from a Savage 21. 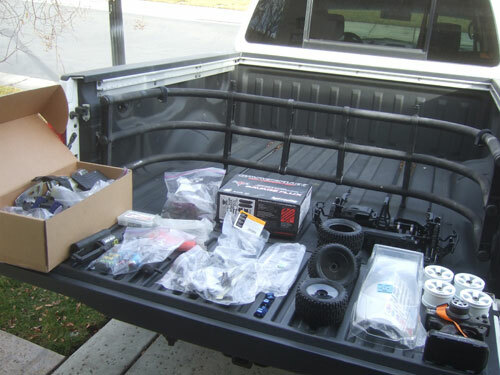 I know he gave me a lot of parts with the truck but I am not really sure what I should do with it. The deal I got was okay but he had spent way more than the $300 I paid him. 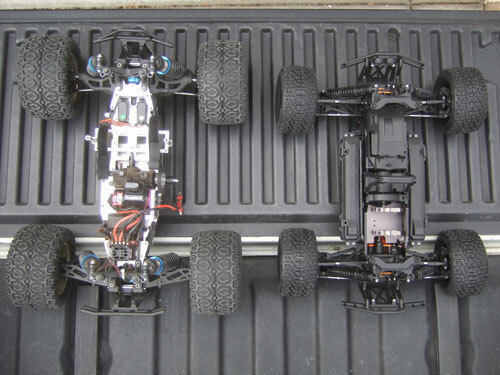 I was thinking about selling it or build it up with the TCS Flux 5T conversion. 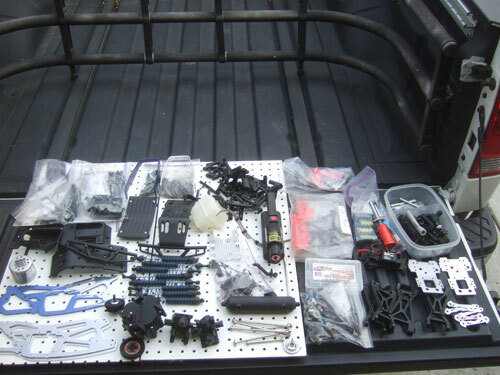 He did give me a lot of spare parts from the Nitro Savage 21 which the 5% of the used parts came from. I like how sturdy the truck looks but it seems like it is hard to work on. I like how big the battery holders are so big but I do not like the small shocks. I am thinking about doing a LST2 shock conversion on it. 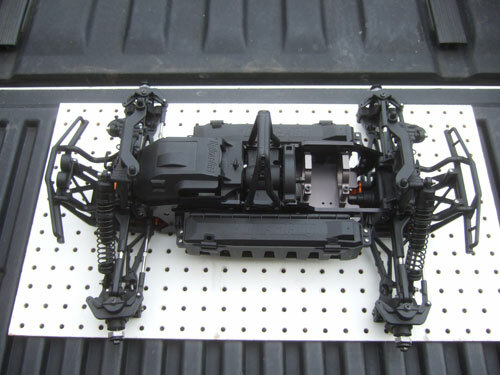 The TVP has been upgraded to a TCS 5mm chassis, which is made out of 6061 aluminum and carriers a life time warranty. 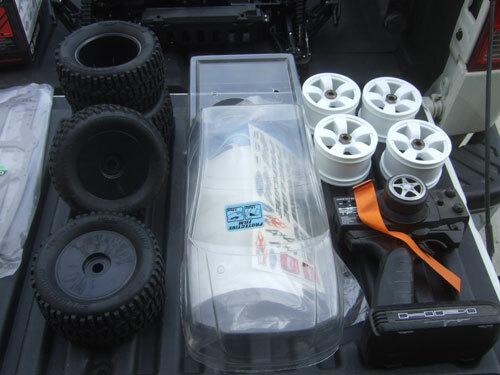 It came with a HPI SF-2 steering servo but that will be soon replaced with a Hitec 5955TG servo with 333oz of torque. I wished they have used real 17mm hubs on 8mm axles like 1/8 scale cars but they used a nut and hex instead. The sad part about the axels is that there are no conversion kit for it. 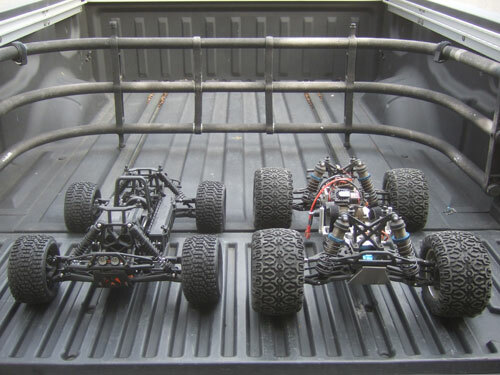 I would have buy a set of Savage XL extended axles and custom fabricate the axles to be able to use real 17mm hubs. I am also not a big fan of the motor mount because you are limited to using the HPI FLUX TORK motor unless you mod the mount or buy a motor mount specific your motor. When I placed the Flux next to my LST XXL, the flux looks tiny. I think the wheel base of the Flux is way too short and that is why you can do standing back flips so easily. And the shocks looks too tiny for being a monster truck but I am glad they did change from that standard 8 shocks that they use to have.